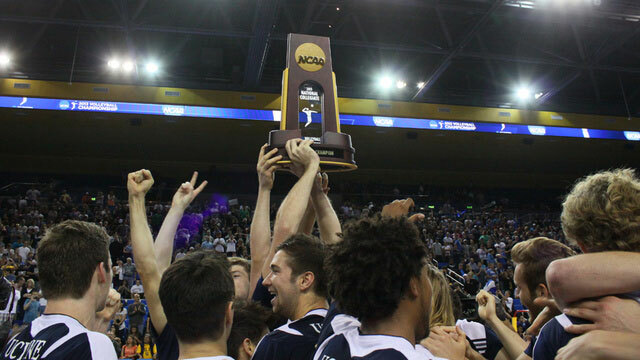 In 2013, the UCI men’s volleyball team became the first in 17 years to win consecutive NCAA championships. The Anteaters snagged the title in 2007, 2009, 2012 and 2013. In March 2014, alumni from three of the four winning teams met with President Barack Obama at the White House for a celebration of NCAA champions. Read more here.